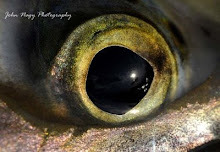 Late September shows steelhead staging along the Lake Erie shoreline with good numbers of steelies being sighted in the lower reaches of several Lake Erie tributaries including the lower reaches of Walnut Creek in Pennsylvania and Conneaut Creek in Ohio. Expect larger numbers of steelhead to stage along the shoreline as the days become shorter and lake shore temperatures drop below 70 degrees F. Cooler air temperatures (which cools the tributary flows) and run-off from cool fall rains will encourage these staging fish to run into (and up) the tributaries in greater numbers. Early October has seen decent run-off from fall rains (and a sharp drop in the Erie lakeshore water temperature) bringing in fair numbers fresh steelhead into all the Lake Erie tributaries. In Pennsylvania the main concentration of steelhead are up to the Route 5 bridges with more scattered numbers south of there. Expect runs to be consistent in October as long as precipitation continues. By the end of the month steelheaders should anticipate the annual leaf fall which can certainly make steelheading challenging in the tributaries. By early to mid-November most leaves will be flushed out of the tribs and running clean. November is typically the peak of the fall run on the Lake Erie tributaries. 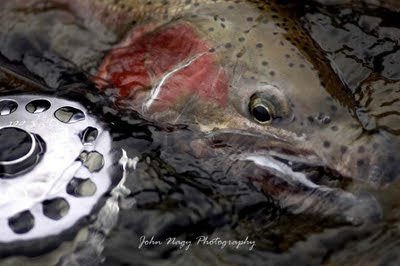 Expect excellent numbers of steelhead in all the tributaries by the end of the month with steelhead movement well upstream to pre-spawn/winter holding locations. So far this fall it seems to be a big fish year on the Erie tributaries, (particularly in Pennsylvania) with numerous steelies in the 14 pound plus range being caught. November is seeing very little precipitation in the Lake Erie watershed resulting in extremely low and clear conditions on the tribs. Many steelheaders have decided to wait out the drought but some are hitting the lakeshore and trib mouths. The lower Niagra River in NY has also been an option for some steelheaders. The first part of December has brought good amounts of precipitation (including snow-melt) into the Lake Erie tributary watershed. Along with this good run-off has been unusually cold temperatures (more like January than December) which has ushered in early winter steelheading conditions. Steelhead are scattered throughout all the tributaries with good numbers in the middle to upper sections. The Cat in NY has been fishable but stained this fall, especially in its upper reaches. The excessive stain (even at fishable levels) is a result of the flooding this past summer which deposited a tremendous amount of silt into the Cattaraugus Creek watershed. Steelheaders should expect a longer time frame for the Cat to clear (after a run-off episode) due to this excessive silt. Fly anglers anxious to get a crack at early "chrome" can try the Erie lakeshore (when the lake is flat and calm/early morning or overcast days are best) by drifting egg patterns and nymphs at tributary outflows and also casting wooly buggers and streamer type patterns along the shoreline to cruising steelhead (a shooting head system works best for the latter). The lakeshore temperature off Erie, PA on December 9, 2009 was 44 degrees F. Tributary water temperatures have ranged from 40 to 33 degrees F during the second week of December. The Vermilion River, a Lake Erie steelhead tributary in North Central Ohio, is being considered by the Ohio Department of Natural Resources for state scenic river designation. This would make the 64 mile Vermillion River the 15th river by the state of Ohio to be protected by scenic river designation (Ohio's Conneaut Creek and Chagrin, Grand and Ashtabula Rivers also have this status). This potential designation (it must be approved by the numerous townships, villages and cities that the Vermillion River corridor drains through) mandates that any public project that might effect the Vermilion River and its resources will be subject to a thorough review, ensuring that no threat is posed to the waterway and at the same time not compromising the rights of the private property owners along the stream. The National Park Service (NPS) and the Ohio Environmental Protection Agency (OEPA) have begun an Environmental Impact Statement (EIS) which will determine the possible impacts of the modification and/or removal of the Brecksville Dam on the Cuyahoga River in Cuyahoga National Park. The EIS will include discussion of the project's potential impacts to environmental, cultural and recreational resources including the migratory steelhead run in the Cuyahoga River. (look under Oct. 5th news releases). The public meeting will be held by the NPS and will provide an update of the project and also welcome any comments from the general public. The Gem City Outdoorsman and Fly Tiers Club of Erie, PA (with the help of the Pennsylvania Steelhead Association and the Northwest Chapter of Trout Unlimited) plans to distribute fruit baskets again this fall to numerous Erie County, PA landowners in thanks for allowing steelhead anglers to access their streamside properties. This very successful program is an admirable example of how the fisherman and private landowner relationship can be maintained and improved. Anyone interested in donating to the fruit basket program can send donations to: Pennsylvania Steelhead Association, PO Box 8892, Erie, PA 16505. Pennsylvania Senate Bill 574 was signed into law on August 28, 2009 by Governor Ed Rendell. The bill extends the period of time that fees obtained from the sale of Lake Erie fishing permits can be deposited in a restricted account within the Pennsylvania State Fish Fund through December 31, 2014. It also extends the use of funds in the restricted account for the protection or improvement of fish habitats on or at Lake Erie, Presque Isle Bay and their tributaries. Last fall, on November 8, 2008, 140 year-old Gudgeonville Covered Bridge that spans Elk Creek in Girard Township (a well known landmark to steelhead fisherman) was burned down by arsonists. Jeffrey Gleason and Joshua Bell plead guilty to police in torching the bridge “for fun” after a night of drinking (Gleason has also admitted to firing a .22 caliber rifle into a car carrying four people two weeks later on November 21). The bridge has since been demolished and will be rebuilt with a new span costing $120,000. The new bridge is set to be open for traffic at the end of August 2009. Although not of covered bridge design, it will have a wood deck with low profile railings to allow motorists an unobstructed view of the Elk Creek valley. The Pennsylvania Fish & Boat Commission on October 6, 2009 voted at its quarterly meeting to acquire two public fishing easements along Crooked Creek providing approximately about 1/2 mile of stream frontage. They are located along Happy Valley Road and Lucas Road in Springfield Township. The properties are next to each other with the Lucas Road property providing parking and a trail to the creek. -Please be courteous of land owners along the Pennsylvania Tributaries. -Please keep noise low in the early mornings. Park in areas that do not disrupt or block the land owners vehicular ways (it is still harvest time). -Please police our ranks if you see a problem individual either call the PA F&BC at (814) 337-0444 or in a non confronting manor inform the individual of the situation and the status quo. -Above all remember fisherman are uninvited guests and should be discreet about their actions on all landowners property. All it takes is a few to ruin it for all of us, or the next time we fish we may see a No Trespassing signs. 20 Mile Middle Road area, and Pond area, due to parking. Elk upstream of American Legion. From the fishing perspective the “Cat” has obviously been significantly impacted by this event. How much of an impact is too early to tell since (as of August 29, 2009) the river is still running somewhat high and muddy and will be difficult to access damage until things clear up. Since a tremendous amount of silt and sediment has been flushed into the Cattaraugus Creek valley it may take a good while before the Cat clears (which may impact the fishing this fall). Also, any rain events (whatever the magnitude) will more than likely continue stirring up this excessive silt and sediment. Will be interesting to see how the river fishes this fall. Please keep your thoughts and prayers with the people of Western NY who experienced this terrible flooding. 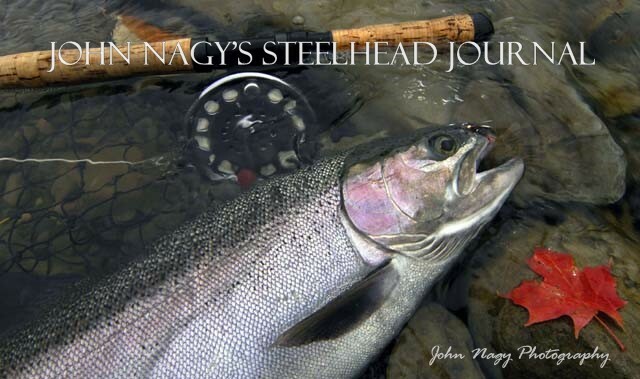 John Nagy has an article on Cattaragugus Creek, NY in Fly Fisherman Magazine (December 2009 issue/available September 2009). The article details techniques and strategies for fly fishing the Cat (also including John Nagy's Lake Erie Rainbow Smelt tube fly pattern) as well as information on the proposed fish passage device installation on the Springville Dam on the upper Cat by the Army Corp. of Engineers. This project (also know as the Cattaraugus Creek Restoration Project) would further develop the wild steelhead fishery on the Cat (there is ideal habitat for natural reproduction above the dam) and also open up 34 miles of existing New York State Public Fishing Rights land easements above the dam to steelhead fishing. 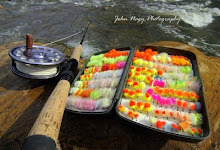 This would go a long way in relieving the heavy fishing pressure on the lower river. The Army Corp. of Engineers is continuing a feasibility study this fall (2009) investigating the structural integrity of the Springville Dam and powerhouse. The results of this analysis could influence the development alternatives for the fish passage device (although dam removal is still an option). The Corp. will also be doing an ice study this winter on Cattaraugus Creek to see if the Springville Dam acts as an ice barrier and how this effects the river below the dam. A public information meeting concerning this project is expected to be held by the Corp. in the spring of 2010. The Corp. encourages the public (both fisherman and private landowners) to attend this meeting not only for the latest information on the feasibility study but also for public concerns/recommendations on the Cattaraugus Creek Restoration Project in general.